With strong, clean lines and unique, sky high towers, Cantaloupe Systems was a one-of-a-kind presence on the show floor. Nimlok designed its trade show exhibit with one thing in mind: ultimate visibility. The booth’s tall walls and oversized hanging sign could be seen from aisles away and drew guests to the space. 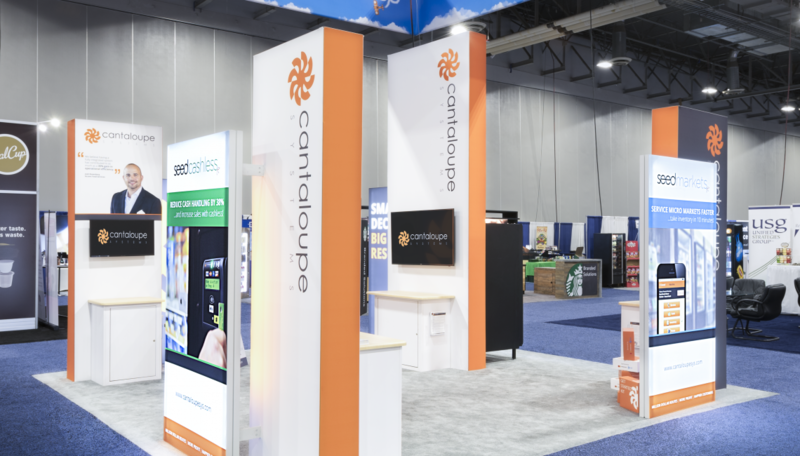 Rich printed fabrics adorned the structures to create a cohesively branded environment, complete with effective messaging and education on the brand’s capabilities. 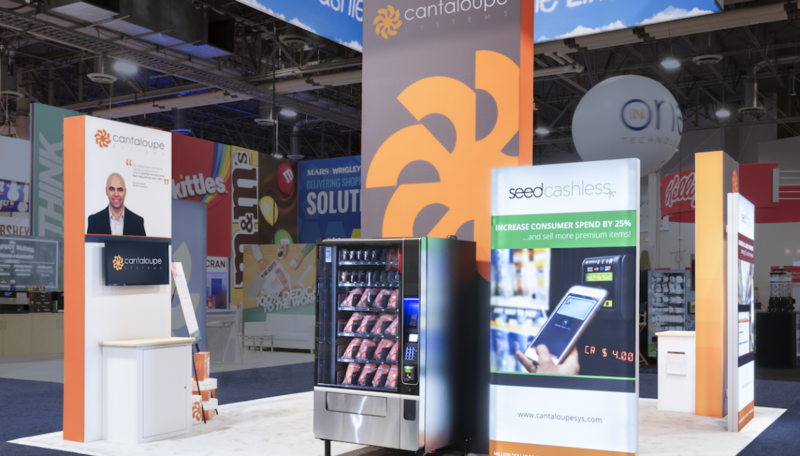 An in-booth vending machine served as a unique engagement piece within the trade show display, allowing for staff members to strike up conversations with visitors drawn to the machine.